What is social media, Google + and technology’s role in MOOC? What sort of MOOC model would be useful for online learning? Is MOOC suited for the education and learning of any subjects and topics? 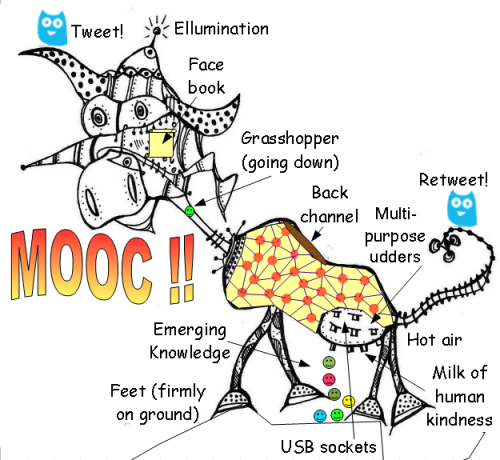 What would be the future MOOC like? First, the introduction of Google + has generated lots of discussion, here by George Siemens and here on how to fix Google + circles by Stephen Downes and here about the mother of Google + features. This led me to think of the goose and golden egg story – The goose that laid the golden eggs. 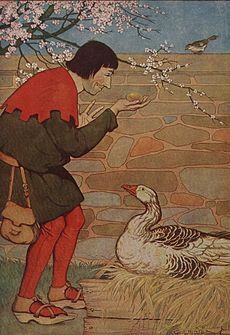 When Google+, FB, Twitter (as a digital goose) is fully leveraged and exploited, the golden eggs could be collected (artifacts and resources – blog posts, videos, articles, conversation, engagement, etc.). We need to nourish the goose, in order to have healthy golden eggs. But if we are not patient enough and kill the goose (i.e. kill or ban the technology and tools), thinking that what we want are just the golden eggs within then we might not find any eggs inside when the tool is dismantled. So, what do all these mean? The Goose= Google+, FB, Twitter are tools that are part of the Digital Goose. Learning is that part of the discovery of curated information and distributed knowledge through such a digital goose, where the goose would help us in hatching the eggs. There is a process involved in this hatching, where thinking and reflection is involved. How does all these relate to MOOC and the eduMOOC? A MOOC is a Massive Open Online Course. It is a gathering of participants, of people willing to jointly exchange information and collaboratively enhance their knowledge. A useful critique on MOOC. Here is another MOOC referred to by Stephen in his OLDaily, on e-portfolio. This would surely be another exciting MOOC for educators and practitioners to consider. It has been put together by a group from the VET E-portfolios Community of Practice (EpCoP) to help vocational education and training (VET) practitioners build their e-portfolio knowledge and skills by developing their own professional e-portfolio. My previous post with Gordon’s fabulous cow and an adapted version of the original clip art drawing of the duck by one of the CCK participants. Is learning related to the transfer, transmission or replication of information or knowledge in MOOC? This has been an interesting debate in previous CCKs and there is still no absolute answer to this. From what I could sense and experience, learning is AN EXPERIENCE WITH THINKING AND REFLECTION and might be embedded in a conversation, an activity, a problem, a project, or reading and commenting. It may be unintentional as cited by Stephen, especially when learning relates to higher order, critical thinking and reflective learning. It emerges out of the conversation, and would likely take up a pattern as shown in the COW cartoon above. It is not easily predictable, as the emerging knowledge would change over time, based on the interaction and engagement amongst the networkers. George in his post here raised a number of questions on research into MOOC. 1. What are the habits and patterns of learner self-organization in open online courses? 2. Do learners perform better in open online courses that in traditional courses? By what metrics would we begin to answer that question? 3. Are there any subjects that are not suitable for open online course delivery? 4. How can open online courses be merged with on-campus courses (i.e. blended MOOCs)? 5. What types of skills do educators need to teach MOOCs? How can educators support learner success? 6. What principles or models of instructional design are most effective in developing MOOCs? 7. What types of technologies are needed to a) help learners make sense of complex topics, b) manage information overload, c) maintain instructor presence, d) encourage learner autonomy? 8. How do existing online learning/teaching models relate to MOOCs (i.e. communities of inquiry, communities of practice, connectivism)? I came across this post http://www.pontydysgu.org/2011/05/moocs-a-model-for-open-education/ by Attwell referred by Stephen in his OLDaily. In future MOOC, how about? (a) An orientation session/workshop which would provide an overview on what is involved in the MOOC – the theory and practice part. An introduction by participants in a fun, enjoyable way. A one paragraph summary about individuals’ background, needs and expectations. 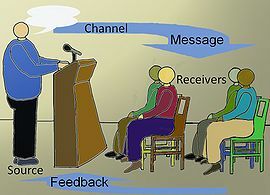 (b) Development and practice of peer facilitation – allowing participants to be engaged at the start a short MOOC event, with a 1-2 day conference or for the first week, where invited participants would treat the workshops as practice sessions, using Google + Hang out, Elluminate or Skype (for small groups). This allows participants to “play around with the tools” (the sandpits) without too much worry about their “performance” or “facilitation” skills before an actual final presentation. The participants would be encouraged to choose their topics, their tools (powerpoints) or videos or podcasts (like voicethreads) and media (Youtube, FB, Twitter, SL, Amplify, Quora) etc. So this could be a series of workshops with events of short duration, ensuring all people have opportunities in engaging in the activities, which should be built with fun. (c) Development of mentoring skills – one-on-one or one on many, many on many (peer mentoring) and organisation of learning activities (like b) – provision of a mentoring workshop where every participant could volunteer to become a potential mentor of MOOC (present or future). In other words, peer mentors could be a good starting point for existing experienced educators to provide support to other less experienced educators or novice learners. For those people who have less experience in teaching and learning, they could be involved in the program in many ways, like working on small groups, sub-networks, or individual projects and activities of their choice, such as blog post – learning or research, twitter – learning or research, FB – learning or research and exploration and research into various tools and technology – mobile learning, and COPs and research etc. Conduction of actual interviews with educators, professors, and report on such interviews – via videos, blog posts etc. This could be done in wikis or a forum (a space of their choice). Some initiation and organisation will be necessary to kick start such projects or activities. Report on the exploration of some of the media or tools – like Amplify, Diigo, Scribe, Google +, Google Documents, wikis and research articles studied etc. could all be done in wikis, forum, or blog posts sharing. (d) Development of research skills – this could be integrated with (b) and (c) via a combination of research workshop on Connectivism (Networked Learning) and application (via action research) and presentation of research projects (especially good for those working on PhDs to practise their research writing and trial presentation to a group of audience, and to obtain feedback from such “group” or community). (e) Development of Network of Practice – in PLE – this could include a short group PLE exercise where participants could work together in various interactive share spaces/media – with digital story, role plays, games etc.. It would be important that participants could choose the media to work on, based on their nominated spaces. (f) An evaluation session of the course- where the good, bad and ugly could all be discussed, with a SWOT analysis to evaluate the different workshops and forums, blogs openly, connectively and collectively. (g) A survey research on the course in various forms – small focus groups, Delphi approach – with post it notes on “what and how to improve the course” by the participants and facilitators doing it in a joint function, and a fun way. Just critique on the issue, not the person. The current MOOC book initiative could also be a wonderful way to document the research done through the collaboration of various scholars, educators and networkers. The above are just some of my thoughts (which have now been adapted with updated information) which I think could be useful for a MOOC, though it really depends on who those target educators and learners are, and what they want out of the course. If it is possible, why not encourage and support the participants start thinking about design and development of a “mini OOC”, with some of the above elements in mind? The concept of Connectivism would all be built in if the course could really help the majority of participants to learn more successfully and effectively. For highly academic scholars, researchers and educators, I reckon MOOC needs to be based on their actual needs. Most of the participants who have experiences with MOOC know the principles of keeping up-to-date accurate knowledge and information and its importance, and the need to learn with connections with various networks, and the relevant pedagogy in situated learning, based on context. There is no need to repeat those principles. Instead, it may be useful to use narrative research to reinforce the applications of some of the principles underlying networked learning, both at work and in study. So, the actual issues evolved around authority, power and control, an emphasis on openness, a reinforcement of skills or literacy for some less experienced learners, the provision of guidance for some educators and learners, and an encouragement of autonomy to experiment and teach or learn in a way that best suits them in the MOOC. This will encourage and support all participants to learn and connect (including all professors and guest speakers to have their involvement in the networks), participate and engage, and having conversations in order to succeed. Isn’t that the self-organised learning at best? Or the emergent learning resulting from connective knowledge growth and development in the networks? This in turn would invert the course design, so that the participants would actually be designing the MOOC, implementing it themselves, and reflecting together on what works and what doesn’t. Wouldn’t this be more valuable to most educators and learners? Would this be the biggest challenges for even the most experienced educators and PhDs? I understand that I have made lots of assumptions here, as learning is complex and all of the above depends on the interaction amongst participants and facilitators in actual case. However, if we have never tried it, how do we know if it works or not? In summary, what is more important in MOOC is not just the theory, or the principles as suggested, but the actual projects and community or networks that are created, developed and worked on. This would take away the often “known” ways of learning with a MOOC. That is the EMERGENT LEARNING both for the individuals and the networks. There may be some educators and learners who could feel it too hard to do it in a MOOC, and so instead of doing a whole Connectivism course, why not having it designed in parts, so participants would only choose what they need only? 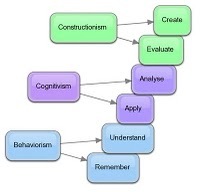 If we are to ask participants to design courses or sub-networks (with events, workshops, seminars, presentation, activities), then those designs would most likely be refined by the participants, implemented and evaluated more successfully, as they are the master piece of their suggestions, and so learning is built into the design with continuous improvement and review. There is also an urgent need in gaining a deeper understanding of: Managing uncertainty in social networks as contained in this reference, using social network analysis and learning analytics. The most successful MOOC that I have witnessed so far seems to be based on the CCK and PLENK model, where structured and unstructured models are blended, and as individuals become active in the conversation and “cross fertilization” in the community of inquiries. 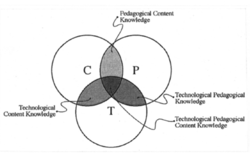 This seems to also come at the intersection of community of practice, landscape of practice, social networks, where the knowledge web, social web, learning web are all important part of the online learning collaboration and cooperation. 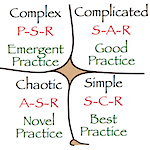 I still think the emergent practice based on Cynefin framework would apply to MOOC, where complex situations have always been the most challenging ones for educators to facilitate and steer in the case of huge online course. This will beg the rhetorical questions: Is MOOC always the most effective way in addressing complex learning situations? Is Openness at the heart of MOOC? 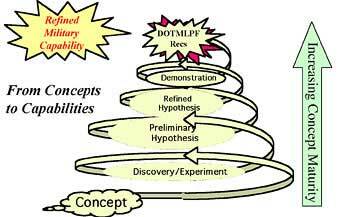 How would the reality and ideal of MOOC be possibly leveraged under such a learning model? 1. 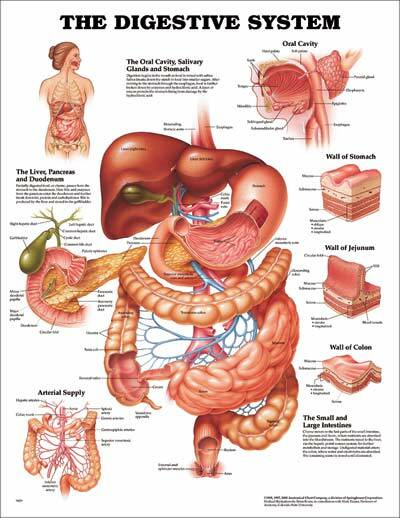 The topic of interests offered in MOOC are aligned with those of the target audience. Such topics need to be “new”, “exciting”, “challenging to some extent” but not overwhelming for most of the participants. If the topics are related to simple, elementary concepts, then such MOOC may be conducted similar to the traditional online video classroom basis, like the Khan Academy, or what might have been adopted in the high school with a lecturer giving the talk. Though chaos could be part of the MOOC at various stages of the course, especially during the introduction, a tempering or “intervention” based on curation of information, collaboration and learning clusters formation to share views, feelings, and learning would likely ensure that individual voices are heard, and feedback loop is used to continuously improve and develop the course, through connective networks. 2. The participants are coming from a diverse background (or even from global networks), and that openness, diversity, autonomy, and interactivity and connectivity are encouraged, supported and celebrated, not through a centralized system, but a decentralized network structure based on egalitarian principles. This would ensure a healthy growth within and amongst the networkers and networks, which collaborate and cooperate, rather than compete with each others. 3. The MOOC structure needs to be adaptive in nature, and may exhibit the complex adaptive system where the actors and system co-evolve as the course progresses. This means that a breakdown into mini-OOC may be more practical, especially if the interests of the participants are too diverse, leading to fragmentation of MOOC. Traditional, objective and learning outcomes based online course may need to be changed in order to adapt to a high in flux, highly complex and adaptive sort of MOOC where each participant is developing their own unique PLN and “MOOC” in mind. This alignment of online course to an emergent structure with MOOC will allow for a decrease in drop out amongst networkers, and an increase in understanding of the netagogy as proposed and problem and project based learning. It could also be based on lots of fun, as shared by Michael Wesch and his students, producing the artifacts (videos and wikis) under Michael Wesch’s guide on the side when learning in an online environment. 4. That there are open educational resources available and open for access, remix, reuse and repurpose for the creation or feedforwarding of artifacts to the networks, as shared by Stephen Downes. 5. The teaching, social and cognitive presence are all supported throughout the MOOC and beyond. These could be based on distance education pedagogy. It would best be based on a learning experience as discussed by Jenny Mackness where the process is open and community based – with an emergent landscape of practice as value proposition and value creation with communities of practice. This social media and higher education provides a useful insight and models where social media could be considered and used. Our current eduMOOC is moving towards the 5th week, and I am still reflecting on the design, development and implication of it on elearning. This is my first post relating to EduMOOC. I watched Erik Duval’s video presentation on openness with interests. Erik’s approach towards openness in his University teaching relates to the use of social media and tools such as Blogs, Twitter, Facebook and Delicious etc. Open Standards, Open Content, Open Learning, Open Attention, and also Open Research. Erik’s adopted a strong intervention approach, as was suggested in his presentation, that he stressed that if the students didn’t blog, they failed. I am not sure if such intervention provides enough choice for the students, as my experience is: learner autonomy always comes first in learning. Throughout my past few years of teaching and learning using blogs, I realized that it is never easy to blog and share with the public. Some students may even voice: Is blogging polluting the media? I still think we need to be cautious when introducing blogging as a learning tool, especially when students are new to the media and Web 2.0 tools. Adequate planning and explanation about the use of blogs and why and how blogs could be applied in course might ensure higher degree of success. Also, the use of blogs may appeal to some learners, but not to others, as revealed in our CCK08 and PLENK2010 research, and subsequent CCK and PLENK2010 observations and research. As a blogger, I think it is also very difficult to be both creative and informative in blogging, where critical thinking and curating skills are very important in the development of blog posts. Should blogging be mandatory for students? What are the policy and assessment criteria relating to the students’ blogging? How would blogging be incorporated into part of the course or module? 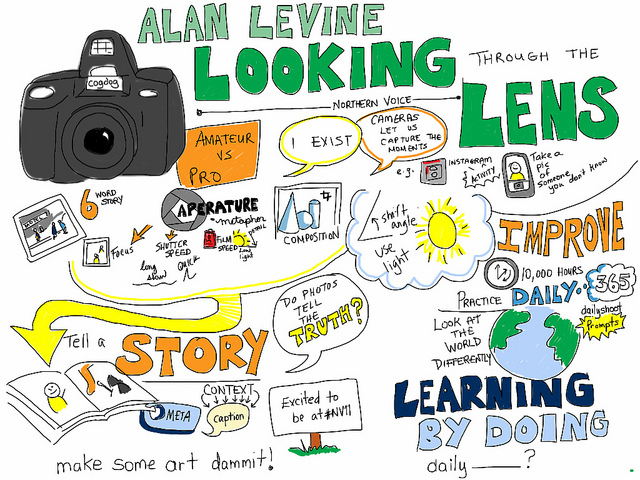 What is the role of the instructors in the “teaching” or facilitation of blogging as a learning tool? Erik mentioned that around 10% of his students continued to blog even after the course. I think this is also the case of CCK08 experience and some of the open courses that I am aware of. Why would those course participants continue their blogging journey? What did they achieve with those blogging experience? This may be an interesting area to research. – The use of Twitter and Facebook in his course. I was quite amazed by his comments: If you don’t tweet it, you fail (he instructed his students that they must tweet). I don’t think this would work with my students, and my style of teaching too, as I preferred giving options to students, especially where competency based training is still outcome and content focused. Besides, students who haven’t got internet access would likely be dissatisfied with such an instruction and intervention. – Difficulties in paying attention. I like Erik’s question: What does it mean to pay attention? Erik’s advice that students have to comment on each others’ blog may sound simple in principle, but could be difficult to implement. Throughout our CCK courses, didn’t both instructors and participants urge everyone to comment actively in blogs? What caused the low number of comments in blogging? Were participants motivated to comment on other blogs? Why/Why not? – I also liked Erik’s presentation about Learning Analytics, where he showed how intervention could be made where necessary, on those students who didn’t participate actively, or who were at risks. However, there are still many ethical and control issues relating to Learning Analytics as I have shared here and here. Here is LAK11 and Martin’s post on Learning Analytics. – I think at the end of the learning program, one must relate the learning back to the achievement of personal goals, and consider the power of feedback loops as mentioned by Erik, and review the effectiveness and impact of such learning on individuals and the group. I am not sure if such open learning would be welcomed by the “oriental learning” and competency based learning, where the content and outcomes are relatively more important as compared to the learning process. I am also doubtful if openness could be assimilated into certain Asian education culture, where openness is still a taboo, in both higher education and research. Here is one of my posts on open courses and Jenny’s post on openness. Openness is challenging but exciting, especially when people realized the benefits of sharing, contributing and receiving valuable ideas and information openly. What are your experiences in openness?